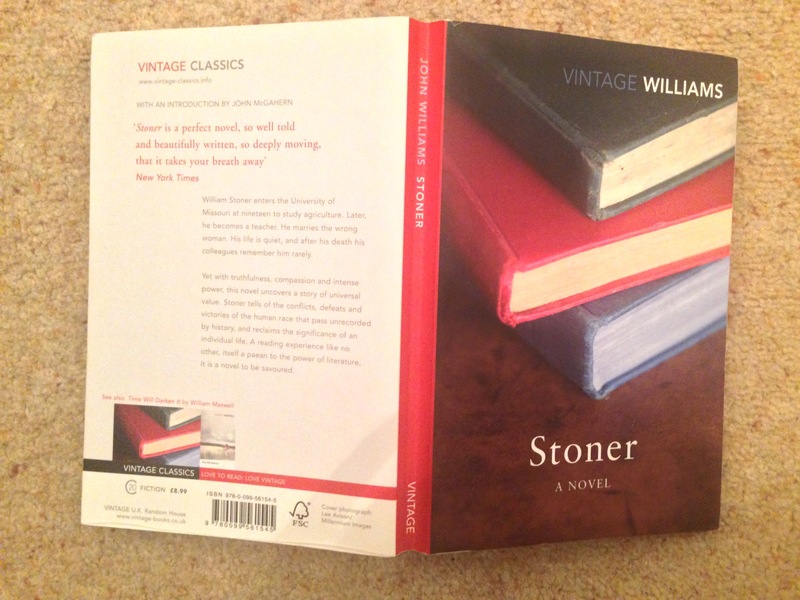 Stoner – the best novel you’ve never read. No, really. Well hello, 2014. You’ve started well, on the reading front, at least (not on the flooding front. Heartfelt sympathies to all flood victims…). So far there’s been the very funny and hugely enjoyable Mutton by India Knight (nothing like some clever chick-lit-type comedy to brighten the January nights), the wonderful La liste de mes envies (The List of my Desires) by Grégoire Delacourt (which I’ve reviewed for MyFrenchLife so can’t say too much about it here) and my onward quest with George R. R. Martin’s soaringly brilliant and utterly addictive A Song of Ice and Fire. Firstly, a shocking admission: I’m not great at keeping up with the bestseller charts. The books hailed as the hot new reads often take a while to creep on here, if they creep on at all. I subscribe to writer Alison Mercer’s feelings about these things: I like to let the idea of a book grow on me. I try not to feel pressured to keep up with the whimsical Kardashians of book publicity. But having said all that, sometimes you can be seduced by hype. And that’s fine too. 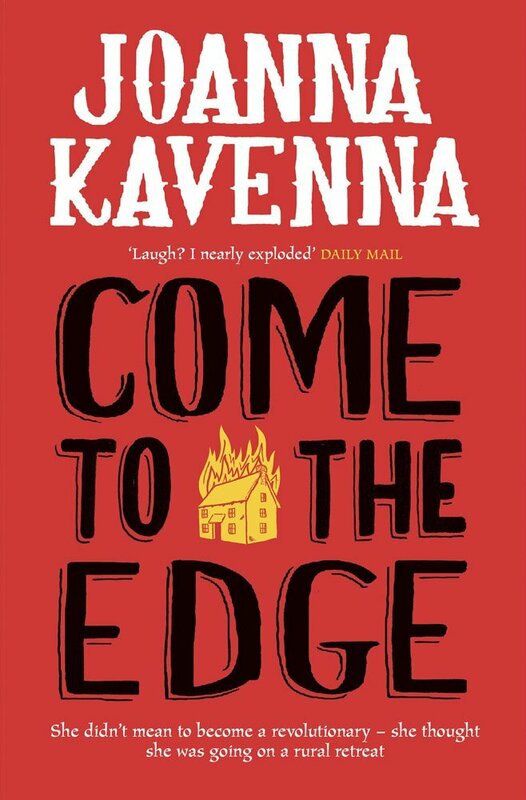 Hype is how I came by what has to be one of the best novels I read last year – in fact, one of the best novels I’ve read, like, ever. Ladies and gentleman, I give you John Williams’ Stoner. 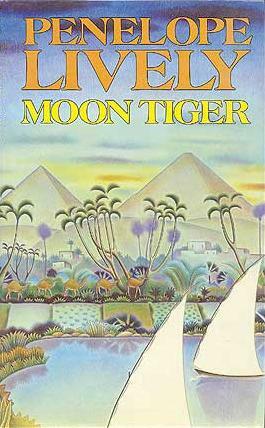 Stoner’s narrative rhythm, its spacing of event, is flawless…The novel flows like a river, calm and smooth at the surface of its unruffled prose, but powerful and deep. I think it was this sense of calmness – of quiet sobriety, that seemingly untrendy thing – that I most responded to. Stoner himself undergoes traumatic experiences – the sad reality of his marriage; his entanglement with departmental politics. 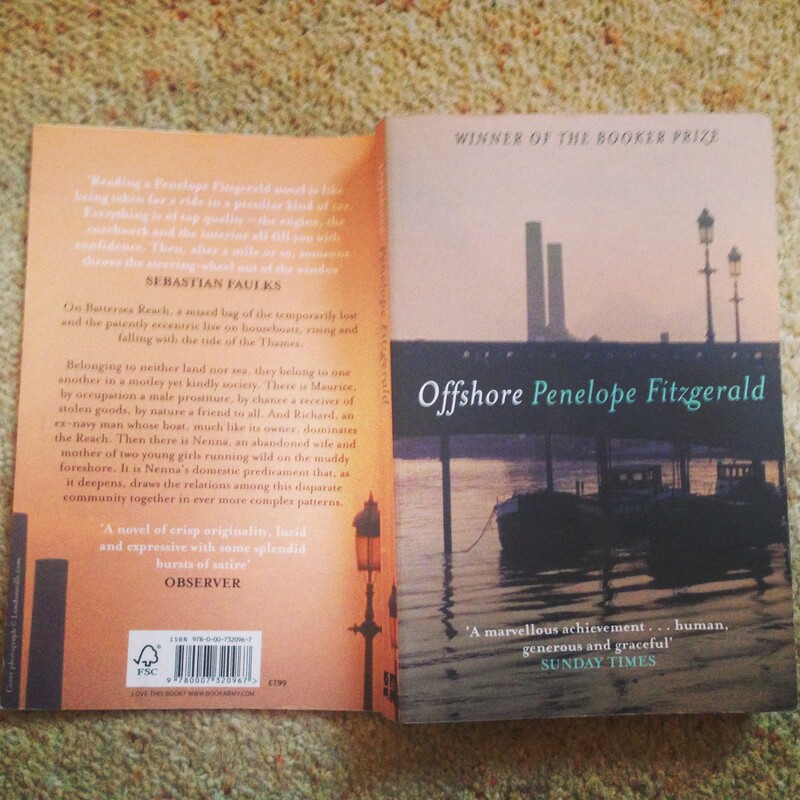 But there is a prevailing sense of calm about this novel and its protagonist – of surety, of the value of stolidly going about one’s work. This is felt, as Foulds recognises, on a formal as well as a thematic level. This is the message that Stoner has inherited from his rural upbringing, it seems, and it’s his application to his work that helps him to keep calm and carry on. Work, as John McGavern explains in the very good introduction to my edition, is an important theme in the book. For Stoner, work is often synonymous with love, too. My copy of Stoner. Thanks Santa. It was a passive beauty she had, like a mask; her light blue eyes looked directly at one, without curiosity and without any apprehension that one might see beyond them; her voice was very soft, a little flat, and she spoke rarely. I’d love to see what a feminist reading of Stoner makes of it all. 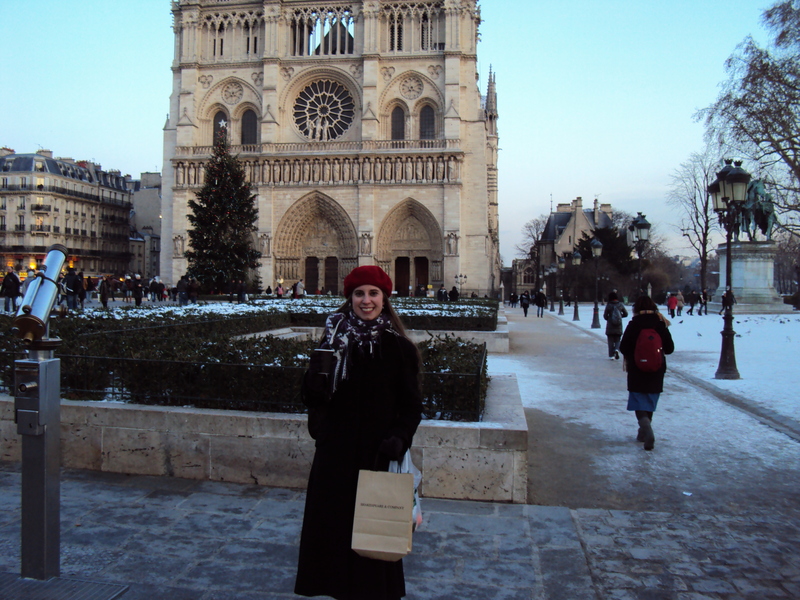 I kept longing for Grace to rebel, for her father to rebel, but it never comes. And that’s perhaps the point. Stoner asks to be reread and not necessarily understood but experienced, just as the whole novel proceeds to subvert the bleak view of Stoner’s life that is announced in its two opening paragraphs. Oh, the weather outside is frightful. No really, it is. Raging wind and rain. I usually enjoy some of my best reads over the festive period. This is partly down to good fortune – I’ve always managed to take the period between Christmas and New Year’s Eve as holiday. There’s time to hunker down amidst the hustle and bustle and happy whirl of socialising and rediscover the quiet pleasure of reading. 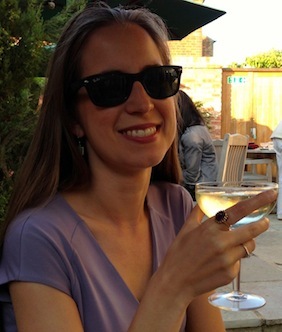 Escapism and fantasy has served me well over the festive season. I remember exactly when I began The Lord of the Rings: Christmas Day 1999 in that sleepy post-dinner lull. The family snoozed; I trotted off to Mordor. For some reason, anything with a gothic tinge to it also appeals over the Christmas period. Is it the short days, the deathly hush of snow (if we get it), the sense that something mysterious and barely understood is happening out there in the darkness beyond the brightness of lamps and strings of Christmas lights? 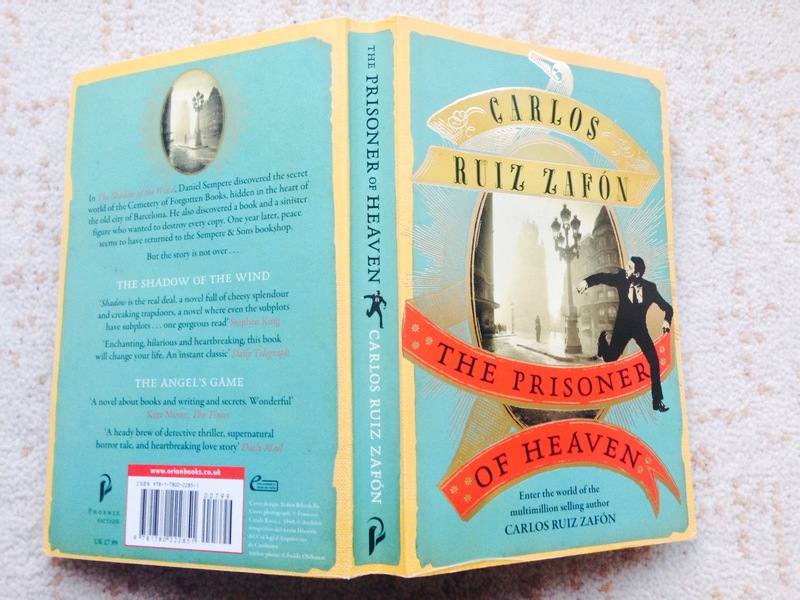 I like to think that this is why Carlos Ruiz Zafón chose to begin The Prisoner of Heaven, the third instalment in his Barcelona-set and neo-gothic-influenced Cemetery of Forgotten Books series, at Christmas time. (PS Charles Palliser explains how the unease that comes from the unknowable is part of the peculiar appeal of the gothic in this fab article for the HuffPost). 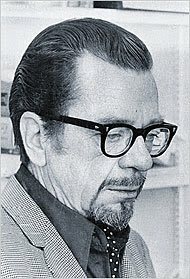 Carlos R-Z, Barcelona-born author of the Cemetery of Forgotten Books series. 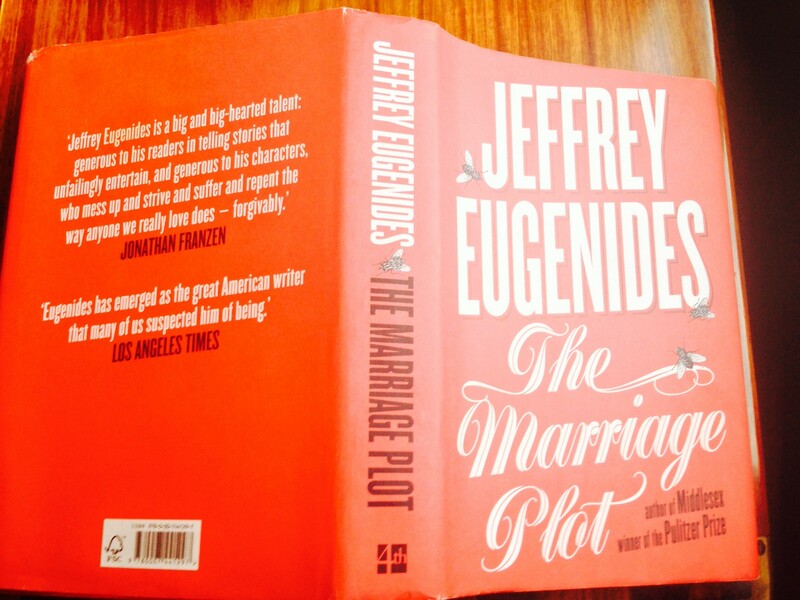 In fact, apart from Jeffrey Eugenides’ The Marriage Plot, I’ve never come across an author who is so blatantly writing for readers who love reading; who love literature as ‘high’ and ‘low’ art; who know their classics, from Cervantes to Dickens, but who also revel in a meaty bit of genre fiction. In fact, in the universe of the Cemetery of Forgotten Books, those who dismiss popular, ‘trashy’ fiction (like the crime thrillers the enigmatic character David Martín writes) inevitably turn out to be self-aggrandising villains. 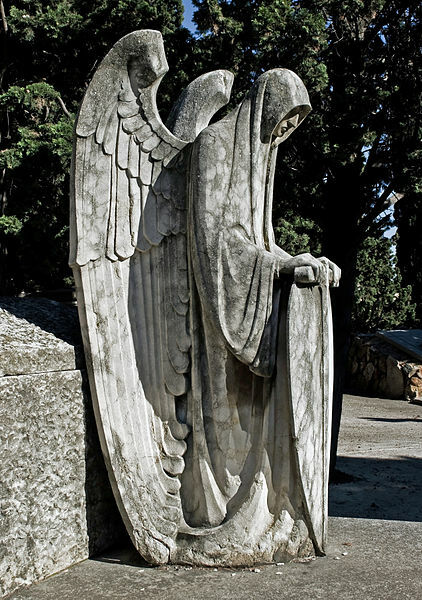 An angel in Montjuic cemetery, Barcelona, an important place in the Cemetery of Forgotten Books series. Get me to Barcelona for the next bookish pilgrimage, I beg you. The fourth and final novel…is the place where the labyrinth of stories rearranges itself again and everything is put into yet another perspective. This is when we’ll really see the big picture and get to the very essence of the stories, of what is behind each of the books. Even if readers by the end of Prisoner feel that now they really know what this chess game is about, they don’t. So don’t go into Prisoner expecting any resolution or dénouement, as I did (not knowing there was a fourth novel to come!) But there are plenty of surprises in store, and we do learn more about the Sempere family and the wonderful Fermín Romero de Torres, as well as other characters that have populated Shadow and Angel’s Game. 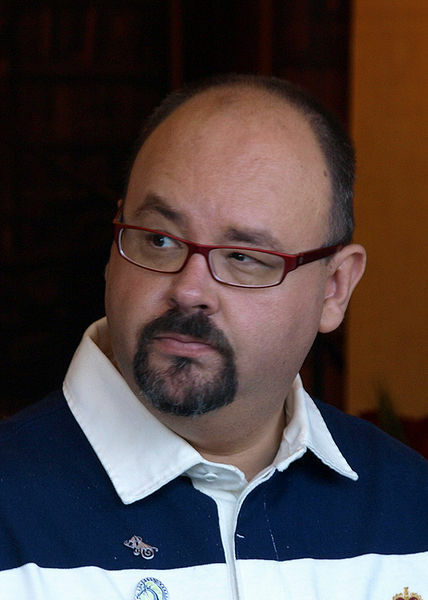 I realised after finishing The Angel’s Game that the word ‘game’ is central to understanding what Ruiz Zafón is doing in these books, and the above statement seems to back this up. Thinking about the implications of the author as God, as supreme creator (and manipulator) helps make the slippery and sub-plot strewn Angel’s Game a bit less disorientating and even more intriguing. 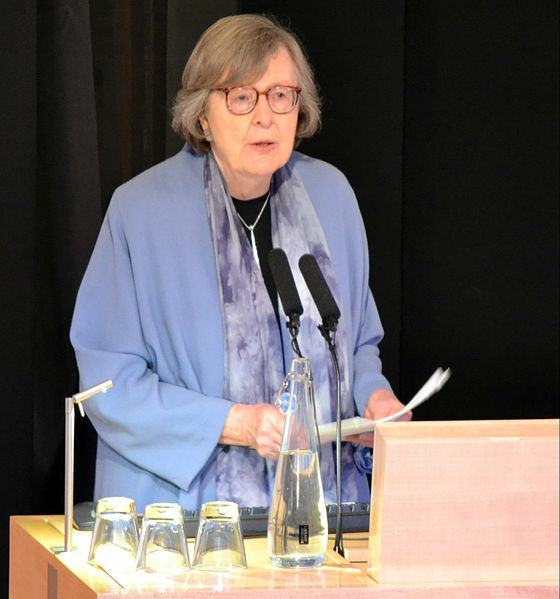 “Perhaps if by chance I was seen arranging the shop window in my underpants, some lady in need of strong literary emotions would be drawn in and inspired to part with a bit of hard cash. According to expert opinion, the future of literature depends on women and as God is my witness the female is yet to be born who can resist the primal allure of this stupendous physique”. So it was a gothic-nuanced end to 2013 for me, but one with a comic touch. All in all, sounds like a pretty good finish to the reading year. 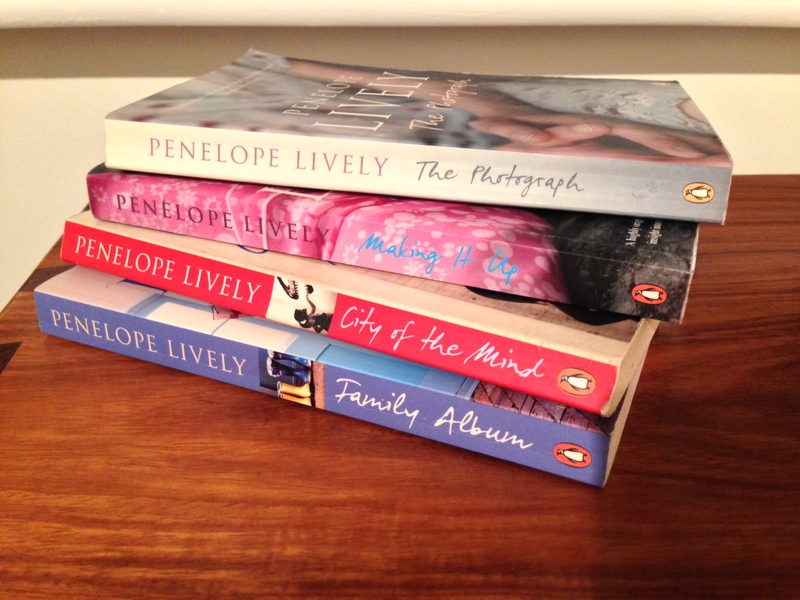 Wishing you a happy, prosperous and book-filled 2014! So, the BBC has produced a thoughtful take on what is, unfortunately, a depressingly familiar question: Why do modern French novelists struggle to sell to the English-speaking market? 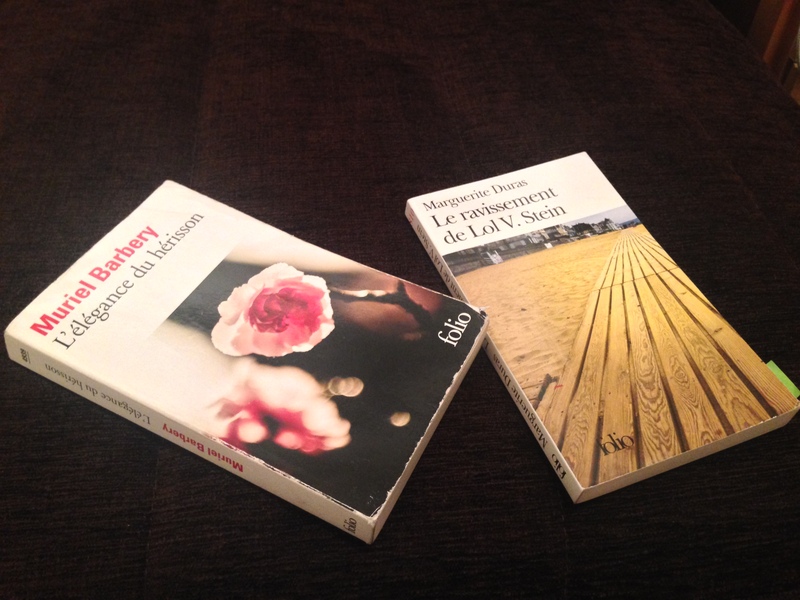 It’s not a new story: us Anglophones no likey French novels. Or rather, we don’t like modern, post-war French novels. While we revere a whole of bunch of France’s eminent dead, white, male, canonical writers (Flaubert, Proust and Voltaire regularly make it into top ten lists) we apparently have no interest whatsoever in reading modern French fiction. It’s an interesting conundrum. There are have been lots of theories advanced for why contemporary French writers don’t do well in the US and UK book markets. They seem to revolve around a question of image, as the Beeb’s article explains. There’s an impression that French writers are too cerebral, too overly philosophical and obsessed with theory and form over content. Our own writers think so too – even avowed Francophiles like the brilliant Louis de Bernières. The thing is, we Anglophones read for plot, and the pleasures of genre fiction, so we’re told. And there’s a perception that that’s scarce in France. It’s probably a whole lot more complicated than that. There must be French writers out there who write the kind of fast-paced, plot-driven narratives that would appeal to US and UK readers, we just don’t know about them. Maybe it is, as the Beeb suggests, due to the prejudices and wariness of Anglophone booksellers. 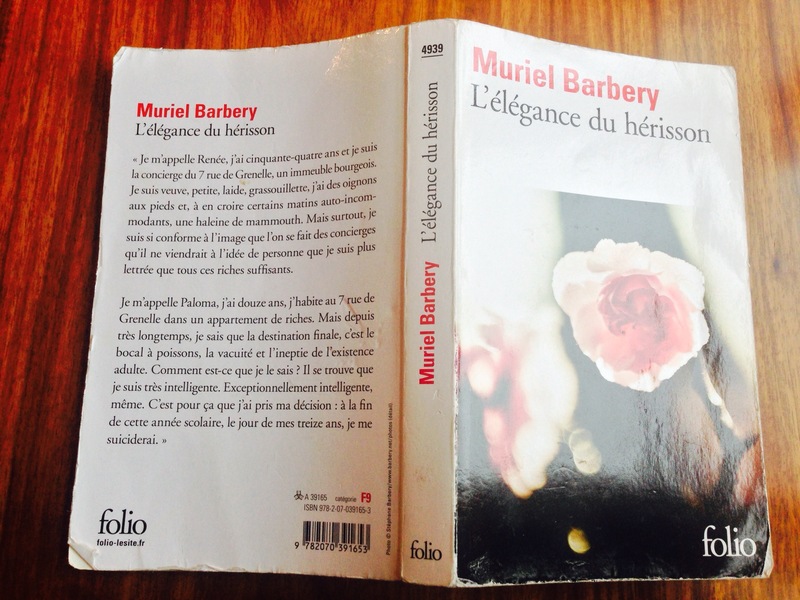 But there have been breakaway successes in the past – Gallic Books’ The Elegance of the Hedgehog by Muriel Barbéry was a bestseller a few years ago. Perhaps it’s a question of publicity, then. And beyond the alarmist headlines, there are small initiatives that are making headway and doing important work. Like Le French Book, a digital-first publisher, who have translated some brilliant thriller writers like David Khara and Bernard Besson. I heartily recommend exploring some of their other titles, like the very funny and warm Winemaker Detective series. 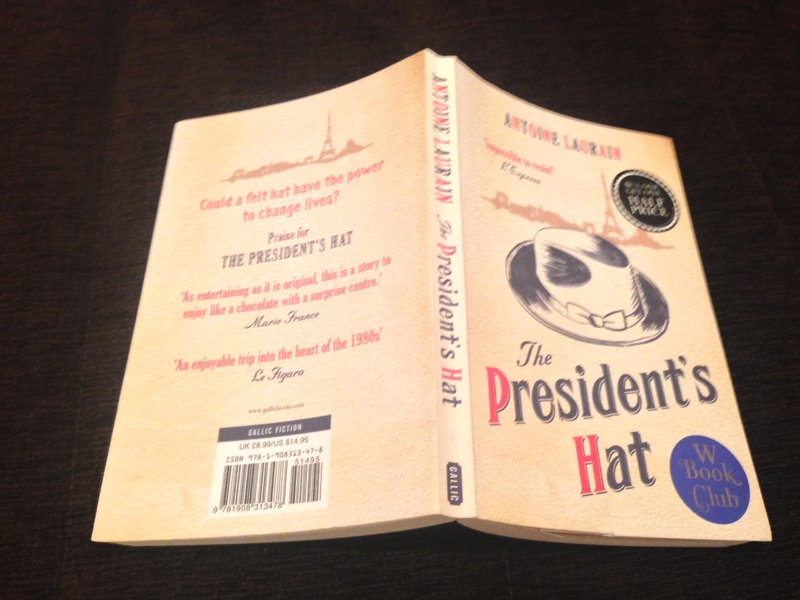 I was also (hey, still am) rooting for Antoine Laurain’s The President’s Hat that came out earlier this year (you can read my review of it here). Come on, Antoine, I thought, surely this is the one to crack the Anglophone market. 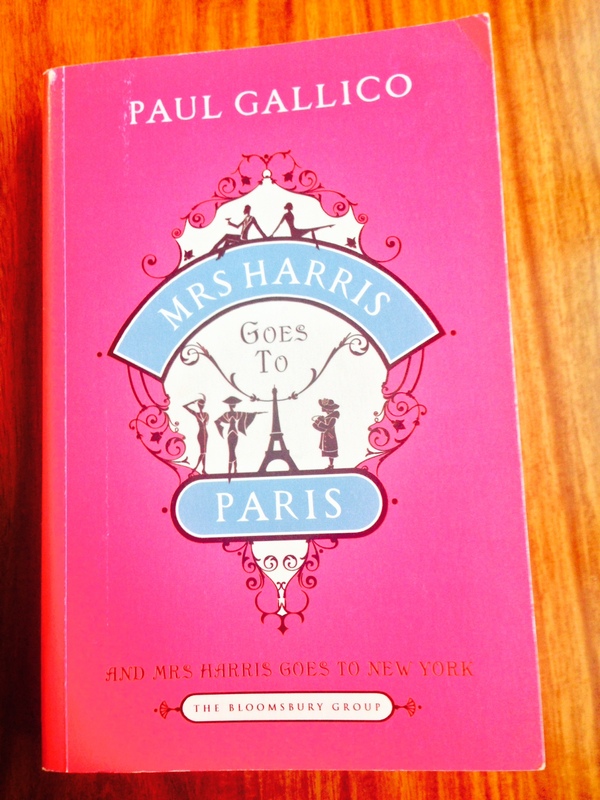 It’s got a quirky, zippy plot and projects that kind of picturebook, faintly whimsical image of France that somehow so appeals to Anglophone armchair travellers (myself included!). But there are ideas here too; there are other things to enjoy. 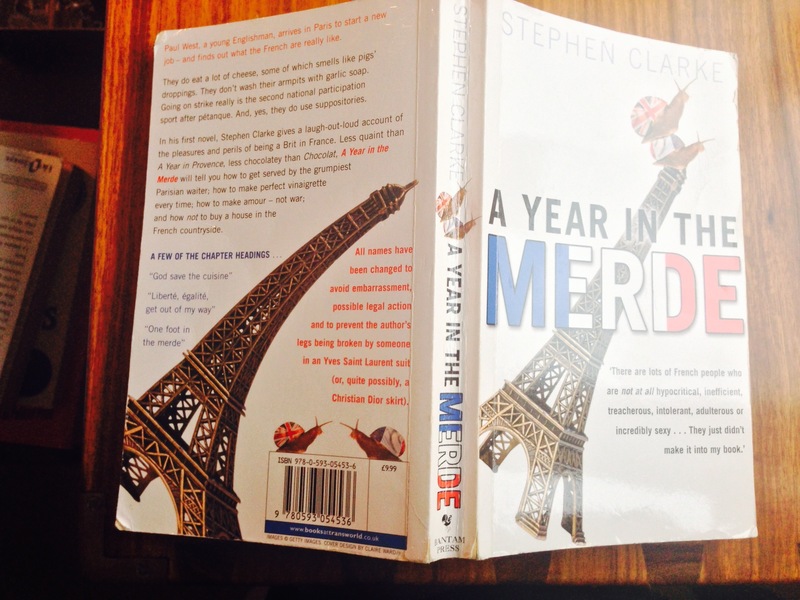 Its intertextuality, for one: the whole book is like a cheeky little retort to Balzacian tales of Parisians finding fortune and misfortune. 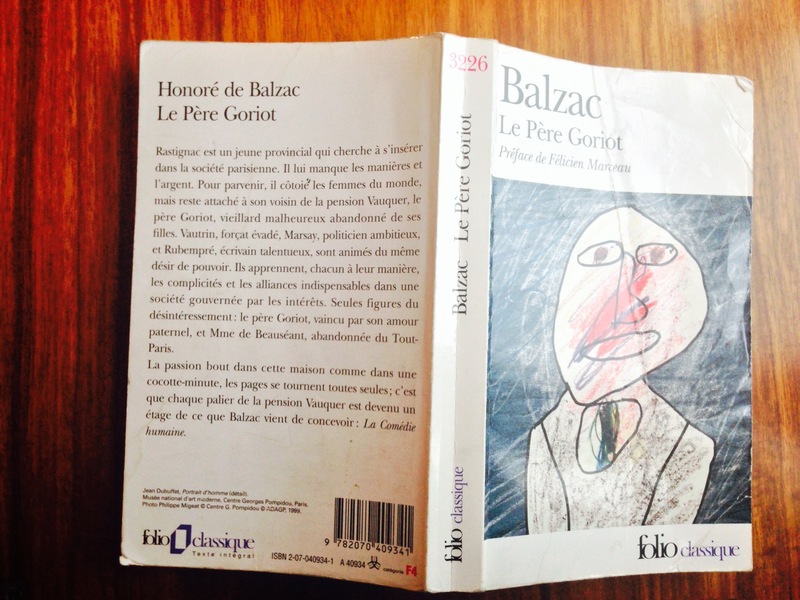 Its ending even seems like a correction to Balzac’s La Peau de Chagrin. Or maybe I was reading too much into it. 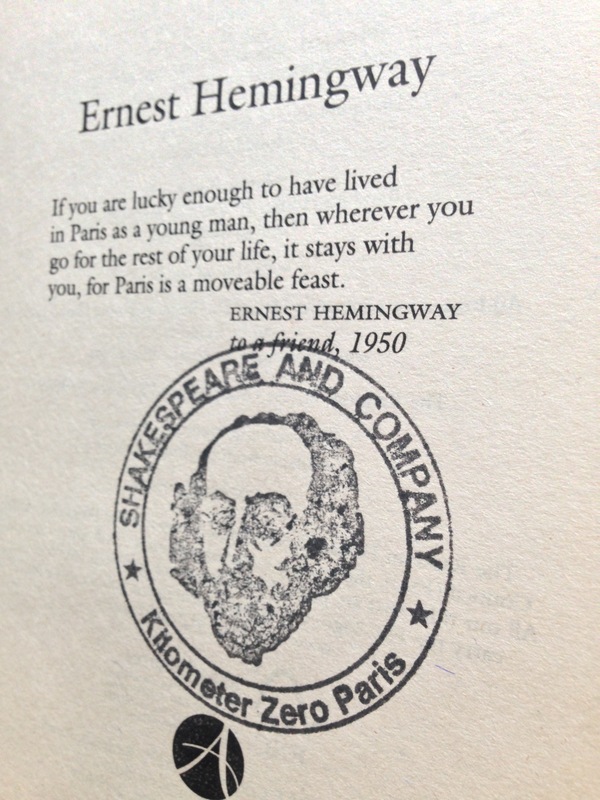 But isn’t that a mark of a good story – you know, that thing that modern French writers aren’t meant to do well? My copy of Bel Ami. Discount sticker no reflection on content. 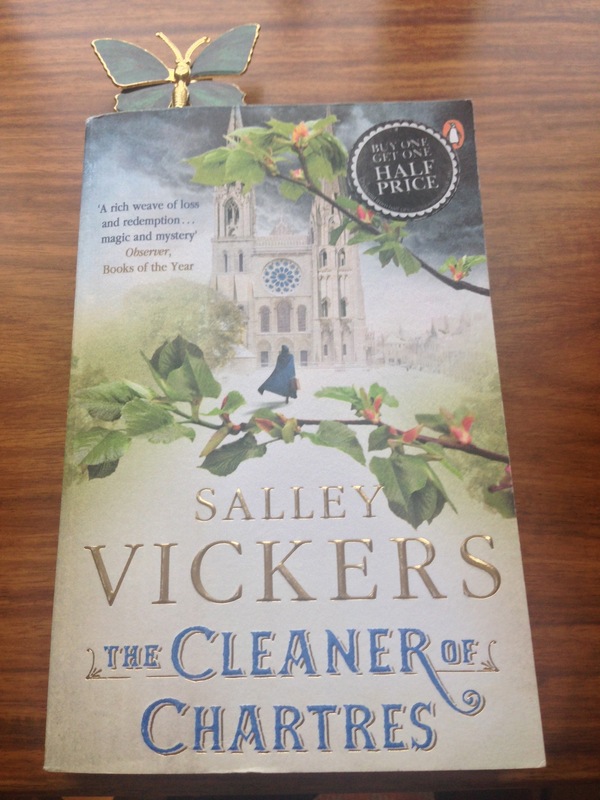 The Cleaner of Chartres, Salley Vickers (2012). 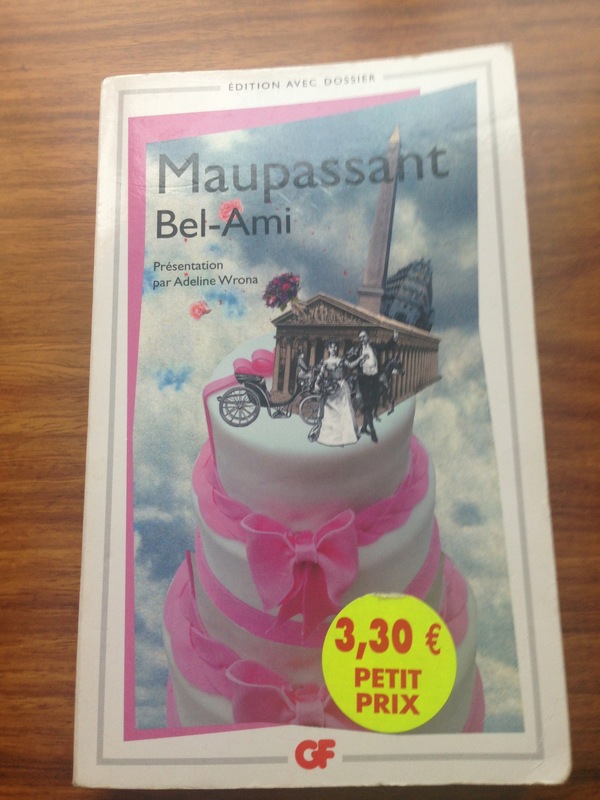 Another book set in France. I love everything Vickers has done, and I’m racing through this. 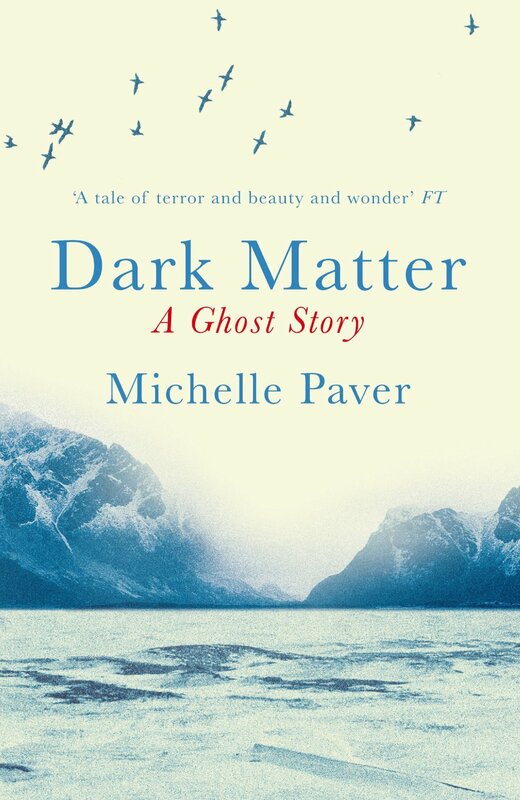 There’s a kind of fabular feel to Vickers’ storytelling here: there’s moralising but she’s using a lighter touch than in previous books, which creates the sense that something almost mystic is at work. One of the things I love about her novels and short stories is that they are not afraid to deal in moral seriousness, nor weave in religious imagery and allegory. 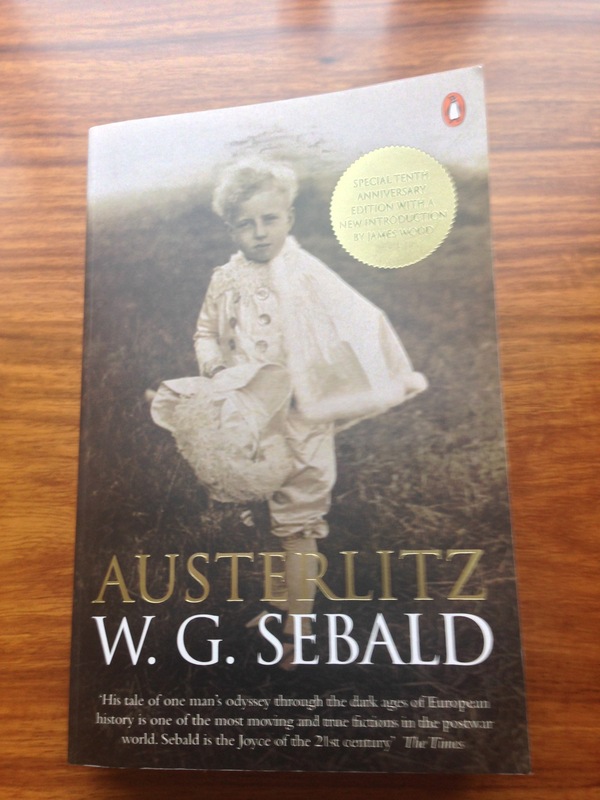 Austerlitz, W.G.Sebald (2001; I’ve got the 2011 Penguin edition). A gift from a good friend (Merci, Maia!). 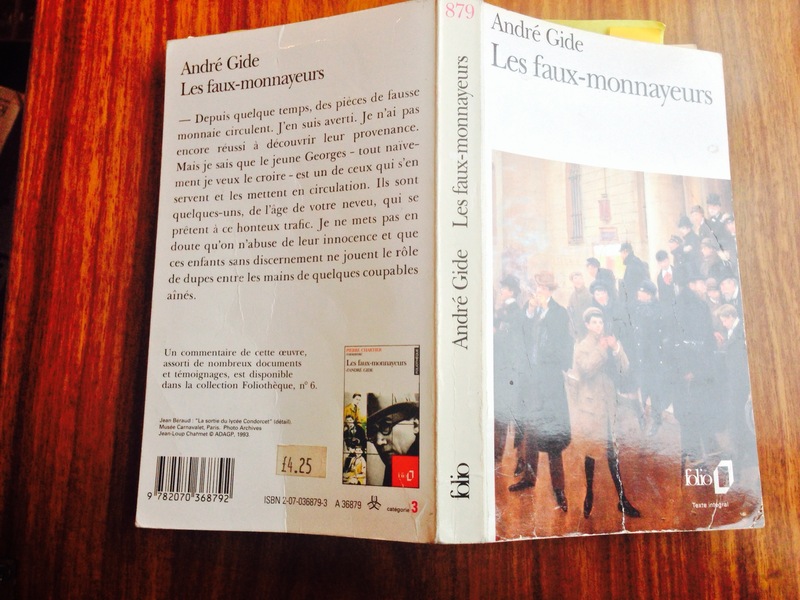 Good to read some fiction in translation – need to read more of it. I haven’t made much headway with this yet, but so far I’ve been struck by Sebald’s narratology – it’s shifting, layered, and refuses any kind of straightforward account of the eponymous character and his life, a man who was sent to England on a Kinderstransport in 1939. Then there are the photographs interspersed throughout the text. I’ve never seen that before in something that’s ostensibly fiction. But is it fiction? Is it a historical account? Are the photographs ‘real’? Mmm…nothing particularly festive in there, is there? I also fancy India Knight’s Comfort and Joy, too and Kate Mosse’s new spooky collection of short stories, The Mistletoe Bride, set in France and England. When I was about ten I read an absolutely brilliant children’s book of short, Christmas-themed stories. I’ve been hunting for it ever since. It enchanted me then, and I’m sure it would now. If I manage to track it down, I’ll share it on here!